High strength PVC frame supports up to 125 lbs. For heavier dogs, try the Kuranda All Aluminum Dog Bed or Bronze Aluminum Dog Bed. Smooth Nylon (Ballistic) Abrasion resistant high-denier nylon but with a smooth finish that won’t catch hair, making it easier to clean. Outdoor Mesh (Vinyl Weave) Great for outdoor use, the open waterproof weave allows air and water to flow through, helping dogs stay cool and dry. Its open weave style keeps this fabric from being covered under our warranty. Textured Nylon (Cordura) Abrasion resistant high-denier nylon. 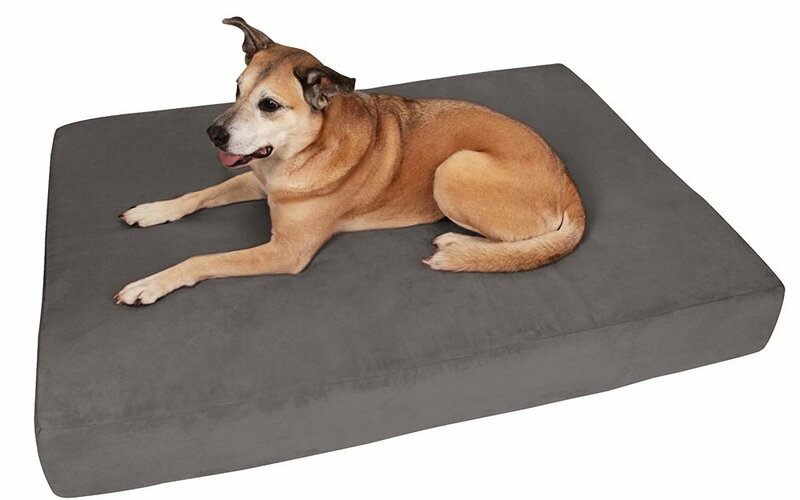 This canvas is ideal for older dogs as it provides plenty of traction getting on and off the bed. It’s also the best fabric choice for dogs with sensitive skin or allergies. Heavy Duty Vinyl (40 oz. Vinyl) Our most durable option, ideal for determined diggers and larger, heavier dogs. Smooth surface, just spray and wipe clean. All of our fabrics and beds can be washed or hosed clean with soap, water and/or disinfectants.